Today's tips are for our ladies, who always love their beautiful hair and willing to take the best care of it. Your planned date with the girls is today. You have selected the dress and the shoes, and your makeup is on point. You are all set to go, even with the right accessories and bag, but then you notice one major derailer: your hair. It can’t seem to cooperate, even with the high-quality product you have been using for the last three months. You marinate over your looks for a while, and since it is too late to cancel, you decide to go but feel utterly unsexy. Now, we are yet to meet a woman who hates her hair. Well, there are those mornings that you will cuss at it, but you will still love it tonnes to keep working at improving your crown. 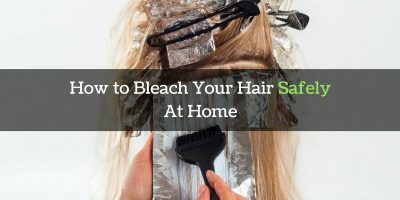 In trying to get the best out of your hair, you may abuse it; unknowingly, of course. You will buy one product after the other without giving the last one time to work. Here is the harsh truth, sweetie. Those expensive hair custards and creams will only work in a healthy atmosphere. You will need to introduce a non-obsessive hair regime and work slowly your way to the mane you desire. You may already know that perms and excessive coloring could damage your hair. How does this happen? Well, chemicals and relaxants change the shape of your hair to make it straighter. This change damages the disulfide bonds that keep the protein structure of your hair together. The damage is reversible, but the process needs patience. The other reason why your hair is all frizzy and lifeless would be exposed to the elements. Trust us when we say that all the sun you enjoy in summer is not the best for your hair. Winters are equally damaging! What weather is the best for hair then? Well, seeing as you cannot control the weather patterns, you will need to invest in products that are devoid of alcohol and sulfates. You can control damage from the elements if your shampoo has the right ingredients. Heat damages hair; we have heard that a thousand times. How so? By robbing it of all the moisture that you have working hard to restore. 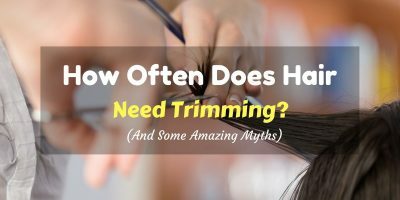 Many people cannot deal with the idea of stepping out of the house without straightening﻿ their hair. Well, you don’t have to give it up cold turkey, but you could start by lowering the heat to at least 400F or below. Also, a heat protectant helps a great deal. Maybe the most important step in reclaiming your hair will be introducing a hair regime. It will involve weekly deep conditioning, monthly protein treatments when necessary, and taking one step at a time. Oh, don’t forget a healthy diet. What you put in your mouth certainly shows on your skin and hair. We have prepared an exhaustive infographic to guide you reclaim your lost hair glory.